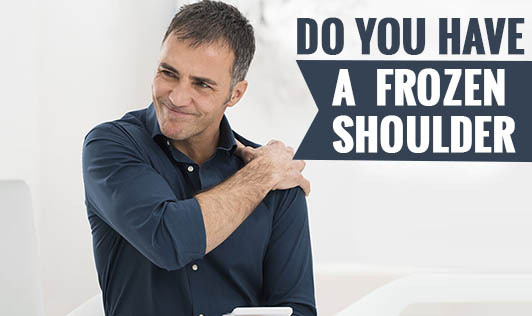 Frozen shoulder is a condition that is characterized by stiffness and pain in one's shoulder joint. This condition is also known as Adhesive Capsulitis. Risk of developing a frozen shoulder increases if one is recovering from a medical condition or procedure that affects the mobility of the arm such as a mastectomy or a stroke. The cause for this condition is unknown. It's more likely to occur in individuals who have recently experienced long-lasting immobilization of their shoulder, such as after an arm fracture or a surgery. • Diabetes- Individuals with diabetes are two to four times more likely to develop frozen shoulder for unknown reasons; symptoms may be more severe. If you have had any injury that is making it difficult for you to move your shoulder, talk to your doctor at the earliest.